Farmers are increasingly active on social media, are you missing out? More and more farmers are actively engaging in social media platforms, for both personal and business reasons. Understanding how they’re using platforms like YouTube and Facebook can enable your brand to deliver useful content at the right moment. In its early days, social media wasn’t much more than a way for teenagers and college students to let their friends know what they were doing throughout the day. Times have changed. In fact, according to iStrategyLabs’ Facebook demographics report, Facebook’s fastest growing age demographic is people over the age of 55. Also, a PEW Research report on social media found that 56 percent of Internet users ages 65 and older now use Facebook, up from 45 percent a couple years prior. While television, magazines, newspapers and radio still dominate in the ag industry, digital is quickly gaining ground. According to a study by Successful Farming, 70 percent of farmers are online daily (28 percent of those are online multiple times a day). In the same Successful Farming study, farmers said their primary social channel is YouTube, followed by Facebook, Pinterest and Twitter. So what are they using these networks for? Not surprisingly, they’re using them the same way anyone uses social media – to stay connected with friends and family and for entertainment value. But it turns out farmers are also using these channels to obtain general news and information that can help them improve their farming operations. YouTube is primarily an entertainment channel, but 44% of farmers in the study said that they watch videos to acquire information on products and services for their farm. And over 50% of farmers from the study said they are using YouTube every month. It’s important to focus on providing video that engages and educates people. However, it’s okay to leave them hanging a little. Use the video to convince them that they need to visit your website to get the information they require. To determine which YouTube marketing strategies are working for you, test your campaigns and collect data on what techniques are most effective. To help farmers find your videos, choose keywords for the titles and descriptions that are relevant to the information hungry farmer. Then, provide video content that educates based on those keywords. The possibilities of marketing on social media are endless, so make the time to sit down and think about how your brand stands out in the marketplace. Your brand or product is unique, so take advantage of these features and highlight them in your content. Publish your content across all channels that fit within your overall marketing strategy. Do some research to see if there are any relevant hashtags to join online conversations. This is the simplest and most efficient way to create conversations with likeminded individuals and companies on social media. Finally, make sure your content is visually appealing. Social media can result in ‘content overload’, so test the use of images, videos and GIFs to find out which types of posts result in the most engagement. Social media is no longer just for teenagers looking to stay connected — it’s a valuable business tool helping farmers find important information. 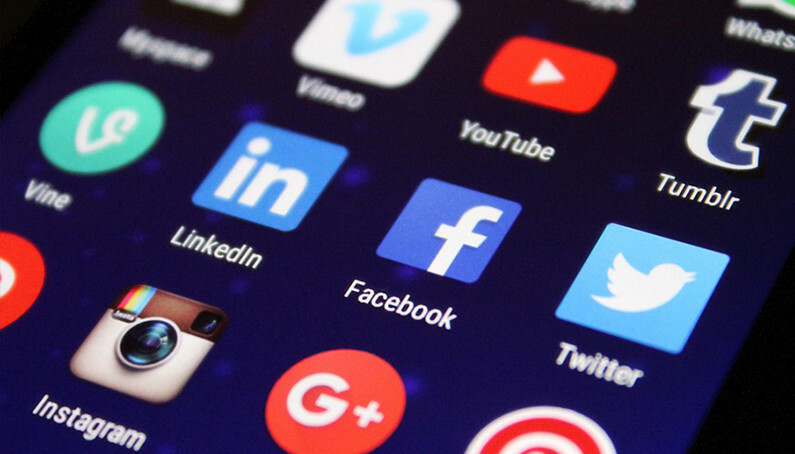 While print is still king for farmers, these social media tools are here to help supplement your marketing efforts and can’t be overlooked any longer.